Rift-tech was rapidly used in the development of heavy armour for the Wehrmacht to ensure casualties in an intense operations were kept to a minimum. One of the first nations to introduce heavy personal armour it is effective and provided a much-needed boost to the German war effort when first deployed. Other nations have copied the principles, often to better effect, but the heavy infantry remain a potent force on the battlefield. 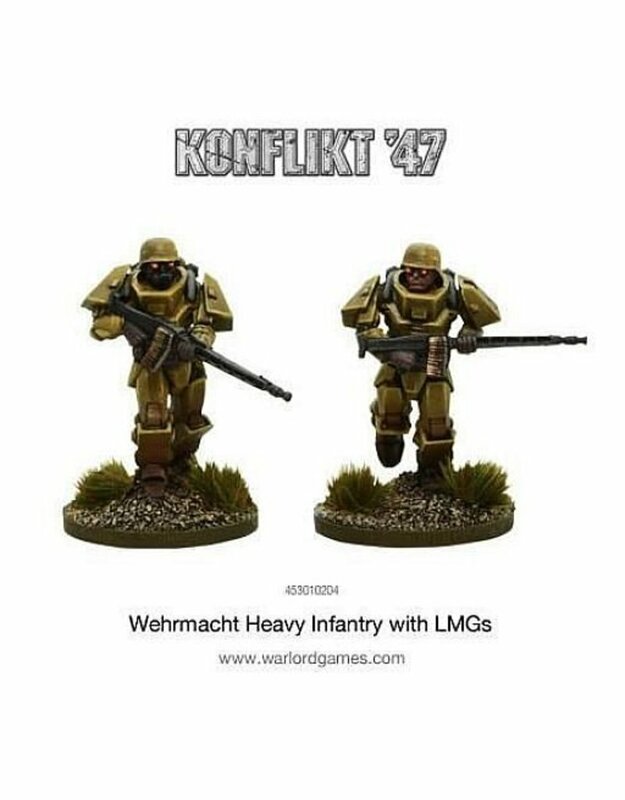 2 metal Wehrmacht Heavy Infantry with an LMG each, allowing you to field the 2 upgrades allowed in a Wehrmacht Heavy Infantry squad!